The Australian sugar industry has around 500 MW of collective (biomass) co-generation capacity. This represents around one-half of Queensland’s total large-scale renewable capacity which is currently 1,032 MW. The steam generated is used mainly for heating and to make electricity for internal raw sugar production processes. Excess electricity – currently enough to power 170,000 homes – is exported to the national electricity market (NEM). Biomass produces almost no greenhouse gases (GHGs) and is highly reliable. This means it can be relied upon to meet Australia’s GHG abatement obligations (Paris) and to stabilise electricity networks to offset the intermittency problems of solar and wind supply. The predominant biomass consumed is the fibrous bagasse from the sugarcane crushing process. Coal, dry wood, agricultural residue, green waste, diesel, gas and oil can also be utilised from time to time based on (cane) availability and relative costs. Energy consumption increases when gasoline and diesel oil are consumed in the transportation of cane to and raw sugar from the mills to export ports and domestic destinations. While the predominant source of revenue for a milling operation is the sale of raw sugar on export market, the revenue from the sale of biomass electricity to the NEM is becoming increasingly critical. The funds generated maintain milling viability and help to achieve returns on capital to attract scarce global capital for milling expansions. 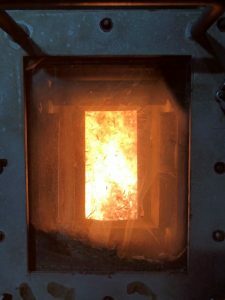 The Australian sugar industry produces enough cane and bagasse to build another 1,000 MW of biomass co-generation at a capital cost of around $3 billion. To achieve the Queensland government’s objective of 50% renewable energy capacity by 2030, an additional 7,000 MW will be required in a short 12 years. With the right policies and incentives, the Australian sugar industry can meet around 14% of this requirement. ASMC supports consistent and bi-partisan national and state policies that allows the market to provide least cost, reliable and low GHG electricity. In our view, the continual changes to Australia’s energy and climate policy settings needs to stop. The changing of the rules means revenues, costs and potential returns of new biomass co-generation projects cannot be accurately estimated – leading to investment uncertainty. Importantly, these policies need to facilitate rapidly changing customer requirements and factor in the true costs of the intermittency problems associated with significant additional solar and wind supply. That is, customers will increasingly want to ‘go off grid’ to avoid high regulated transmission and distribution costs. The ability of the sugar sector to develop distributed networks to supply canegrowers or host communities directly with power is of particular interest. Similarly, the competition for sugarcane land and network capacity and the true costs of ‘firming up’ the network to ensure the grid is secure and reliable when large scale solar farms are built needs to be more closely considered when granting development approvals. The Renewable Energy Target, which requires high-energy users to purchase large-scale generation certificates from renewable energy suppliers, was enormously successful in facilitating growth in Australia’s renewable supplies and driving down costs of production. Due to its wind-down from 2020, we encourage government to continually assess the need for a continued RET and instruments such as carbon pricing to ensure the market can continue to meet reliability, cost and emissions requirements whilst generating commercial returns.